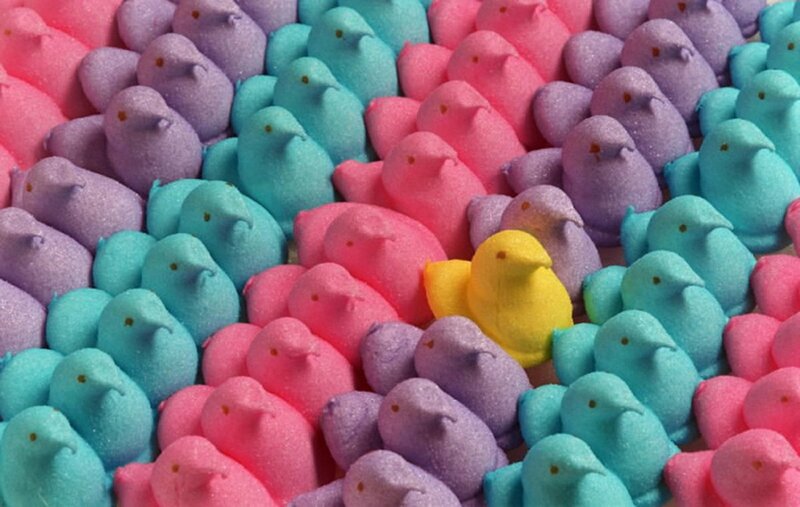 This April, Maryland's Carroll County Arts Council is hosting its infamous 12th annual PEEPshow. PEEPshow is a celebration of all displays, dioramas, figurines, vignettes, paintings, and mosaics either comprised of Peeps-based substance in medium or simply Peeps-esque in theme. In recent years, Peeps-themed art (aka the Peeps genre) has taken on a certain level of artistic credibility. The Washington Post, countless white-collar companies, and local county organizations have held artistic competitions based in Peeps-themed art. But Carroll County, Maryland, was ahead of the game. After first making national headlines on its 6th annual rendition, the competition is now entering its 12th year. The upcoming version of PEEPshow will take place April 12–23 in Westminster, Maryland, with a registration deadline of March 15. (Read more about PEEPshow's entry policies here). But if you need inspiration (since you're obviously entering), we've got you. And even if you have nothing to do with this particular event, this is important content anyway: this is the best art humans have hereunto yet achieved using that most ancient medium: the Peep. Which one's your favorite? If you're entering in PEEPshow, we'd love to see photos of your inspiring work! Have you found your Peeps cereal at Target yet? Better get on that.